Ganz is committed to protecting personal information of its Service users and clients. We don’t knowingly collect personal information from children under 13. Parents are urged to supervise their children’s activities online. This policy applies to all information that identifies a particular individual. Personal information will be collected, used and disclosed in accordance with the form of consent required by law. Use of personal information is limited. We keep personal information for a reasonable period of time only. We may gather non-personal information by means of cookies, beacons and other technology. Ad companies collect anonymous data. You have options. Protect your personal information from disclosure on social communication networks. We provide links to third party websites only as a convenience. Make sure to review their privacy policies. You have control over certain of your personal information. When you provide us with your or your child’s personal information, you acknowledge that the information will be stored and processed on servers located in Canada. In the future, our business may require that we contract with service providers outside Canada to carry out certain functions on our behalf such as data back-up or storage. In such situations, such service providers will be contractually obliged not to disclose your and/or your child’s personal information except where authorized to do so by law or by Ganz. Should a need to transfer your and/or your child’s personal information arise, we will ensure that the selected service providers meet our privacy standards before we enter into contracts with them. We will also require them to secure and maintain confidentiality over your information. Some parts of the Service offered by Ganz are not intended for children under the age of 13 and we do not knowingly collect information from children under this age through the Service. The information we collect from you or your child enables participation in the Service. Registration. During the registration process, the child may be asked to set up a user name and password. Your child should not use any personally identifiable information as his or her user name, as this user name may be visible to others on the Service. You and/or your child may be asked to provide your email address to be used for recovering usernames and/or passwords. Surveys and Feedback: We may collect aggregate information in connection with surveys or other online activities that allow your child to give us feedback. We do not collect any personally identifiable information in connection with surveys or feedback requests, nor is the information provided connected to any personally identifiable information we may have about the child. 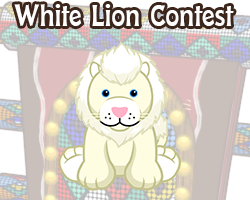 Email Communication from You: If your child contacts us by email or enters an email address when participating in a contest, we use the email address only to respond one time to your child’s specific request and, if legally permissible, to notify them if they won a contest. Mail Communication from You: If your child wants to contact us by mail, and the Service provides a submission form for such communication, you may do so using such submission form. 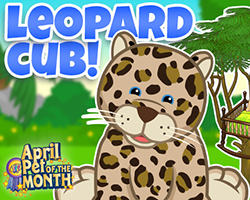 The submission form may ask for your child’s user name and name of his or her game character, and your (the parent’s) name and signature. Chatting on the Service. When using scripted chat on any of the Service, members select pre-constructed messages from chat menus. Members CANNOT type in their own messages, and no personal information can be disclosed. In the restricted chat mode, messages are limited to words from our restricted dictionary, which is designed to prevent minors from including any personal information such as numbers, common proper names and place names. 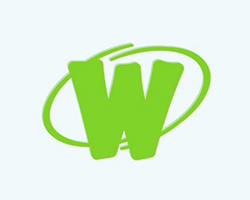 Some areas of the Service may offer unrestricted chat – such chat is suitable to adults but is not to be used by children under the age of 13. We do not knowingly permit preteens to use unrestricted chat. Please note that, in some instances, users relying on scripted chat may view messages posted by users relying on the restricted and/or unrestricted mode of chat. While users relying on scripted chat won’t be able to disclose their personal information, they may find content posted via restricted/unrestricted chat objectionable. Safety and Security: We may collect your child’s name and your email address as well as other personal information, with applicable notice to you and consent, if necessary, for your child’s safety. We may also collect your child’s name and email address for the limited purposes of protecting the security and integrity of the Service, taking precautions against liability, responding to the judicial process, as we may determine in our reasonable judgment is advisable to protect our users, ourselves, our partners, agents and providers, and the general public or for law enforcement on a matter related to public safety. Ganz urges all parents and legal guardians to supervise their children’s exploration of the Internet and any online services, and to teach their children about protecting their personal information online. If you reside in the United States, we encourage you to visit http://www.ftc.gov/bcp/edu/pubs/consumer/tech/tec08.shtm for more information about COPPA and children’s privacy. If you are a parent or legal guardian and will be purchasing licenses for codes to Service-related products or services and sending the purchased codes to your child, please be advised that such activity may correlate your child’s user account information to your personal information obtained during the purchase process. Although Ganz does not generally correlate this data, in rare circumstances this may be necessary to assist with your use of the Service, or otherwise. In compliance with applicable laws we must inform you of the possible correlation and obtain your consent to such correlation should it occur. When you interact with Ganz, we may collect and store information from you directly as described below. Ganz collects personal information that is voluntarily provided by you when you order a product, enter promotions, answer our polls or surveys, register on the Service, or communicate with us by mail, telephone or electronically. Ganz also collects personal and non-personal information automatically as described below. The type of information we collect and maintain may include your name, mailing address, email address, telephone number, gender, date of birth, purchase history, chat room communications, complaints you may have about our products or services, a record of promotions offered to you, and your Ganz product preferences. Other information, such as your IP address, system information (including operating system, browser type, available software and hardware), whether you were referred to us by a search engine (including the search term(s) used to find us), and how much time you spend using the Service are collected to improve the Service and messaging efficiency, learn more about where our users come from and understand how our users use and ways to improve our Service. We may allow you to “register” with us by using Facebook Connect or other Social Networking Service (“SNS”) authentication options to create an account or profile on the Service. To determine your eligibility for our products and the Service. If you opt in to receive offers, promotions or other information from Ganz, your information will be used to provide you with promotional offers for Ganz products that we believe may interest you and to solicit your opinion on our products and services. If you have opted in to receive these offers, we may also use your personal information to ensure that your contact information is accurate and up to date. Ganz does not collect, use or disclose your personal information for online behavioral advertising purposes. To Third Parties To Perform Processing and Other Specialized Services: At times, Ganz may use outside organizations to perform specialized services such as, but not limited to, legal and security audits, payment processing, data analysis, e-mail delivery. These service providers are only given the information needed to perform those services and they are bound contractually to protect the confidentiality, privacy and security of your information and to limit the use of your information to the service being provided. To Third Parties in the Event of Legal Reasons: We advise you that we may disclose personal information to the government or other legal or regulatory authorities (i) if so ordered by a court of law or (ii) for other legal reasons, such as (a) to comply with legal process such as a search warrant, subpoena or court order; (b) to protect the company’s rights and property; (c) to investigate reports of fraud or of users sending material using a false email address or users sending harassing, threatening, or abusive messages; (d) to protect against what we believe in our sole and absolute discretion to be a misuse or unauthorized use of our Service; or (e) in emergencies, such as when we believe our or our affiliate’s integrity requires protection or someone’s physical safety is at risk. In some cases, disclosure may be required by law to be without notice to you. To a Third Party in the Event of a Significant Transaction or Other Event: In the case of any significant transaction or event involving Ganz or any of its related entities or divisions such as, by way of example, a sale, merger, amalgamation, financing, re-organization, liquidation, or insolvency, other parties to the transaction and their professional advisors may need to have access to Ganz’s customer lists and various databases as part of the due diligence process. In this event, Ganz would only provide such access under terms of a strict confidentiality agreement. Also, upon completion of the transaction or event, your personal information would be transferred to Ganz’s successor-in-interest to be used only for the purposes for which it was collected. Ganz has implemented physical, electronic and administrative measures to protect your information from error, loss or unauthorized access. For example, we use industry-standard efforts, such as passwords, firewalls and Secure Socket Layers, to safeguard the confidentiality of your personal information contained on our computer systems. In addition, our employees and any third parties we use are contractually bound to protect the confidentiality of your information and access is restricted to those with a need to know the information to carry out the identified purpose. We keep your information for a period reasonably necessary to meet the purposes for which it was collected, for the security of Ganz and the Service or to protect users, the public or third parties and to comply with any legal requirements, including statutory retention periods and corporate best practices. From time to time, we may use third-party advertising service providers to serve ads on the Service. These companies may use cookie-based ad serving technology for the purpose of (i) ad delivery and reporting; and (ii) re-targeting and/or online advanced targeting, provided, however, that your visit to our Service shall be excluded from your online profile used for such advertising purposes. Furthermore, to monitor usage or transfer of content to another site or location and to collect advertising metrics, such third parties may include in the content web beacons or clear GIFs. Clear GIFs (a.k.a. web bugs, beacons or tags) are small graphic images placed on a web page, web-based document, or in an e-mail message. Clear GIFs are invisible to the user because they are typically very small and the same colour as the background of the web page, document or e-mail message. Because your web browser must request such content from the third parties’ servers, such third parties can track your usage, or set their own cookies, just as if you had requested a web page from their site. Although the third-party advertising service providers may not have access to tracking technologies set by Ganz, or any of your personal information collected on the Service, they may themselves set and access their own tracking technologies and/or they may otherwise have access to information about you. The use of such technology by these third parties is within their control and not ours. Even if Ganz has a relationship with the third party, it does not control their sites or policies and practices regarding your information. 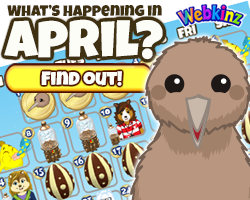 We have given users of webkinz.com (except Alumni and free users) an option to limit third party ads. To opt out, parents should visit the “Account Controls” section of the Parent’s Area and select the limit ads option. 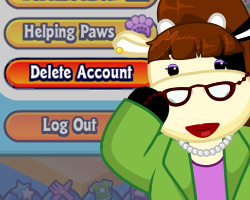 Please note that the option is not available to Free and Alumni Webkinz users but they may still be able to opt out of third party cookies by following the steps outlined by your web browser provider. 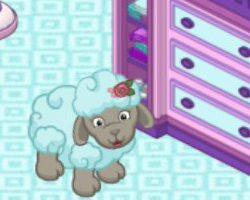 If, after users have selected to limit 3rd party ads, they clear their computer’s cache and/or cookies, or access webkinz.com from another computer, they will need to limit 3rd party ads again in order to prevent 3rd party ads from appearing on the home, login, and logout pages, as well as pages that follow the logout page. 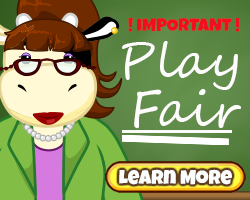 If users do not select to limit 3rd party ads again, 3rd party ad campaigns within webkinz.com will still be limited. Please note that any information that you submit in online chat rooms and public user profiles, on message boards or in similar forums on the Service can be read, collected, or used by others. Your passwords should be both easy to remember, but hard to guess and not shared with anyone (other than a child sharing their passwords with their parents or legal guardians). You should not access your account from a shared computer or device or a public computer or device to avoid the unauthorized accessing of your account. It is recommended that you not store your logins/passwords on your computer or device in case it falls into the hands of someone else. 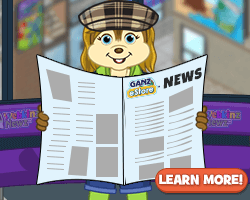 Please note that Ganz is not responsible for information you choose to submit in the forums, nor anyone accessing your account through the use of your passwords or otherwise. While using the Service, you may, through hypertext or other computer “links,” gain access to other websites on the Internet which are not operated by Ganz. 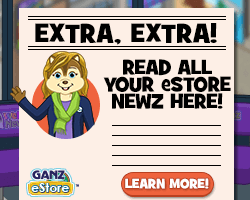 Ganz is providing these links to you only as a convenience, and the inclusion of any link does not imply endorsement by Ganz of the website linked to. WHILE THESE LINKS HAVE BEEN REVIEWED AT THE TIME THEY ARE POSTED, WEBSITES AND SERVICES CHANGE FROM TIME TO TIME AND WE CANNOT GUARANTEE THAT THEY REMAIN APPROPRIATE FOR CHILDREN, SAFE, PRIVATE OR SECURE. GANZ ASSUMES NO RESPONSIBILITY FOR ANY MATERIAL OUTSIDE OF THE SERVICE, INCLUDING ANY WEBSITES WHICH MAY BE ACCESSED THROUGH A LINK ON THE SERVICE. Unless otherwise indicated on the Service, Ganz is not sponsored by or affiliated with the linked websites, and trademarks used in connection with the linked websites are not trademarks of Ganz. You should be aware that each of these third-party websites or services is governed by a different set of terms and policies with respect to the collection, use and disclosure of your personal information. Make sure to review their privacy policies before using them and preview them for appropriate content before allowing your children to access them. You may choose not to receive certain email from us, even after granting permission initially, by unsubscribing. Instructions on how to unsubscribe from emails that are not related to processing of your transactions with us are included in each such email. (You may not unsubscribe from communications related to your Account administration or the processing of your transactions.) Certain jurisdictions require that we provide a copy of the personal information we have on file about your or your child. If your jurisdiction requires this, unless otherwise required by applicable law, all requests for a copy of the personal information we have on file about you, and requests to delete such information, must be made in writing and by postal mail addressed to: Privacy Officer, Ganz, One Pearce Road, Woodbridge, Ontario, L4L 3T2, Canada. Ganz may require that you identify yourself to our satisfaction. In the event that you are unable to identify yourself or your legal rights to obtain your child’s personal information we have on file, Ganz may, consistent with applicable law, decline to provide this information. If we so decline, we will provide the reason(s). Personal information provided by email may not be secure, and you assume the risks associated with your email transmission or our reply. Under California Civil Code Section 1798.83 (also known as S.B. 27 or the “Shine the Light” law), if you are a California resident and your business relationship with Ganz is primarily for personal, family, or household purposes, you may request certain data regarding Ganz’s disclosure, if any, of personal information to third parties for the third-parties’ direct marketing purposes. To make such a request, please send an email message to privacyofficer@ganz.com with “Request for California Privacy Information” in the subject line; you may make such a request up to once per calendar year. If applicable, we will provide you, by email, a list of the categories of personal information disclosed to third parties for their direct marketing purposes during the immediately preceding calendar year, along with the third parties’ names and addresses. Please note that not all personal information sharing is covered by S.B. 27′s requirements. Your request will be dealt with within 72 hours of being received. At that time your account will be deleted. This is permanent and cannot be reversed. You will not receive any notice of this action being completed.